Elite Trimworks is always looking for new ways to spice up your home. Although our old beadboard system was attractive, it needed something more in order to bring it up to date with current decorative trends. 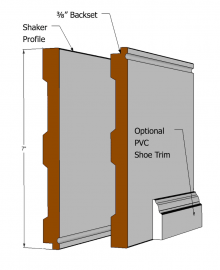 Working together with a number of interior designers in conjunction with our own design team we have created the "New" Elite Trimworks Beadboard Kit. We offer unique, extra wide beads, 2.5" wide, up to twice as wide as other manufacturers products. 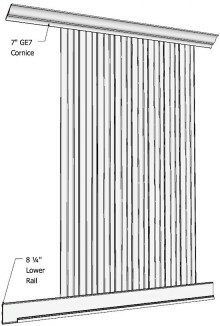 Elite beadboard planks or stiles have 3 beads are and are 8" wide making them much easier to carry, cut, customize and install compared to 4'' x 4' or 4' x 8' foot sheets. The new Baseboard (bottom rail) is notched out so that the beadboard stiles can fit right into it and give you a professionally finished look. It is also much wider now than the original baseboard which makes it more elegant and makes it stand out in any room. The Top Rail is also much wider and is also notched out at the bottom in order for the beadboard stiles to fit right in. This little notch allows the finished job to look cleaner and makes the job much easier because there is less finishing work required. We recommend an overall height of about 40" but if you prefer, you can go as high as 44". 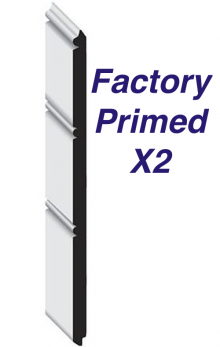 To go higher, as high as 9ft, we offer extension kits. You can customize the overall height by cutting the stiles to the desired length. 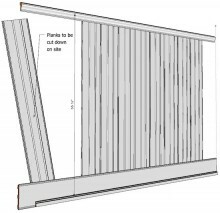 (See Chart) The stiles are to be cut from the 8 foot lengths provided in the kits. 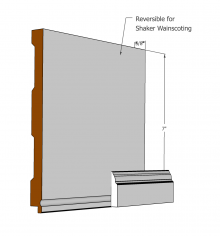 If you prefer to have your beadboard less than 38" high, simply cut off what you don't need. 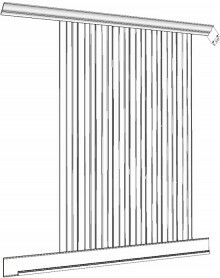 The whole idea of packaging beadboard in this format is that it allows you to customize it fully without compromising on quality. Elite Moldings has taken all the hours of thought and planning normally associated with undertaking a job like this and put it into one box. There is very little work required to make this look just like it does on TV. We have professionals standing by to help you with any problems or questions you may have about the product or installation. Get factory direct pricing and UPS delivery right to your door! Special reduced shipping rates. 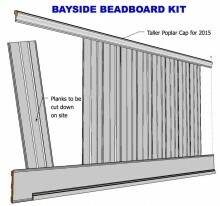 Elite Bayside Beadboard Kit 9 ft.